A branch of Iran's Defense Industries Organization (DIO); affiliated with the Ministry of Defense and Armed Forces Logistics (MODAFL); designated by the Canadian government in July 2010 as an entity contributing to Iran's proliferation-sensitive nuclear activities or to its development of chemical, biological or nuclear weapons or their delivery systems; designation prohibits Canadian parties from providing goods or financial services to the entity or dealing in property held by the entity. Produces military and civilian chemical products and materials; products include, propellant charges, steel and aluminum vessels, and explosives, including RDX, HMX and TNT; other explosive materials include gelatin dynamite, coal mine powder dynamite, cartridge emulsion explosive, bulk emulsion explosive, seismic explosion cartridges, porous prilled AN/FO, powder cartridge explosive, smooth blasting explosive, slurry explosive, cast booster, detonating cord, safety fuse, and DNT; chemical products include commercial nitrocellulose, alphacellulose, diethyl ether, ethanol, ethyl acetate, acetaldehyde, glacial acetic acid, acetic anhydride, sulfuric acid, oleum, nitric acid, sodium carboxyl methyl cellulose, lauramid, morpholine, and antioxidants; involved in mine development activities; parent entity of Parchin Chemical Industries; also oversees Esfahan Chemical Industries (Isfahan Chemical Industries) and Shahid Zeynodin Chemical Industries (Shahid Zeinodin Chemical Industries). 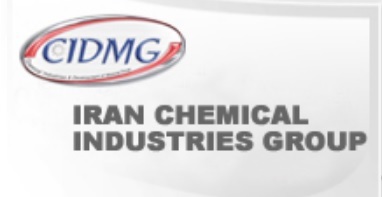 Identified in paperwork as the producer of increment charges seized in February 2011 by Turkish authorities in February 2011 a shipment interdicted en route from Iran to Syria; company officials reportedly include Ehssan Bashtani (export manager) and Mohammad Bashtani; reportedly established in 1940.